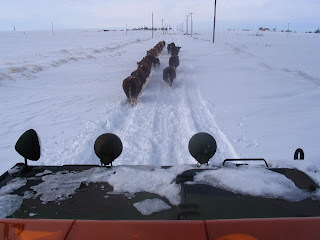 Moffat County will be hosting an ICS-400 Training Course on January 25-26, 2011, in Craig, Colorado. The course is intended for command and supervisory personnel who require advanced application of the Incident Command System. To register, go to http://co.train.org and look for Course ID 1006001 and for questions, contact Robyn Knappe, DEM Training Officer at (720) 852-6617 or at robyn.knappe@state.co.us. 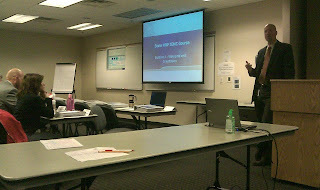 Denver-UASI will be hosting an ICS-300 Training on February 16-17, 2011 at the Colorado Department of Public Health and Environment (CDPHE) in Denver, CO. Intended for Command or Upper Level Management from Fire, Emergency Medical, Law Enforcement, Public Works, Public Safety Communications, Emergency Management, Public Health, Health Care, Government Officials and Hazardous Material Technicians and will cover incident planning, objectives, forms, resource management, demobilization, command transfer and incident closeout. To register, contact Tom Witowski at (720) 865-7651 or at tom.witowski@denvergov.org. 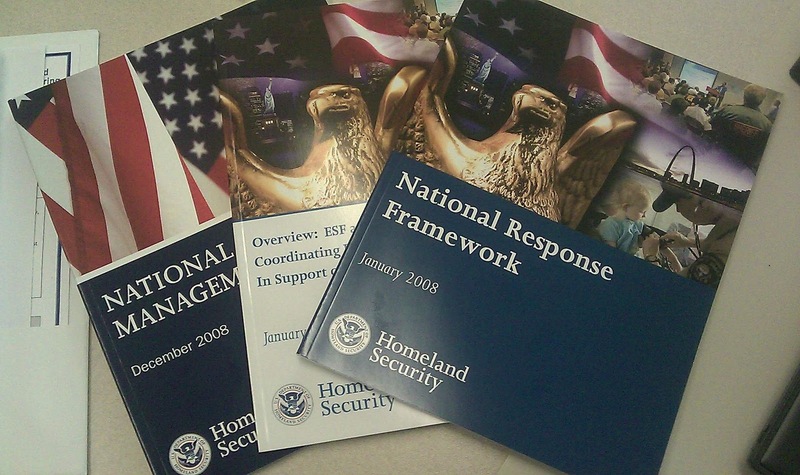 The National Emergency Training Center will be hosting two iterations of the E-210 Recovery from Disaster: The Local Government Role in Emmitsburg, MD, from February 14-17, 2011, and March 28-31, 2011. 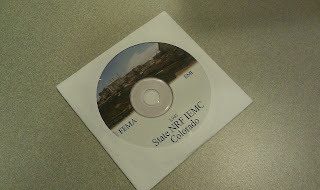 What makes this course announcement unique is that the course was completely revised in 2010 and is designed for local disaster recovery teams consisting of emergency managers, city/county administrators, public works directors, building inspectors and community planners. The Terrorism Threat: Fact or Fiction? Speaker: Mike Walker, Chairman of the Board of Plexus Scientific Corporation and former Acting Secretary of the Army and Deputy Director of the Federal Emergency Management Agency. More than 600 people from all over the country will gather in Denver next week for a first of its kind conference designed to improve safety and security. The Shared Strategies For Homeland Security conference, put on by the Denver Urban Area Security Initiative, with funding from FEMA/DHS, will integrate first responders, healthcare professionals, the business community and citizens with information, ideas and concepts from around the world that promote increased safety and security. More than 70 presenters will address four main disciplines: business and critical infrastructure, community resiliency, first responder needs, and medical/health issues. Presentations include topics such as Terror Medicine, Cyber Security, Lessons from Israeli Bombing Investigations and Law Enforcement in a Terror Environment. Speakers come from all disciplines and will include Richard Serino, Deputy Administrator of FEMA as well as numerous security experts from Israel. The goal is to engage a broad cross section of people throughout a community – from police and fire to business and citizens – in the discussion and planning of safety and security issues. 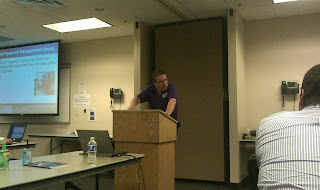 Speaker information and the conference schedule is at: http://www.sharedstrategiesconference.com/. Note: During the Conference, the Division of Emergency Management and others will be posting updates on the Shared Strategies Blog and on Twitter using the #sshs tag. The Incident Command System is the backbone upon which all-hazards incident response by local, state and federal entities is accomplished. The Federal Emergency Management Agency (FEMA) maintains a robust site that provides first responders, incident management teams and emergency managers with resources to support an efficient ICS operation including job aids, forms, position checklists and additional resources. New, updated ICS 2010 Forms are now available online. You can download/view the suite of forms online here. 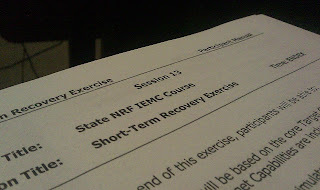 ICS training is available from the State's Division of Emergency Management. 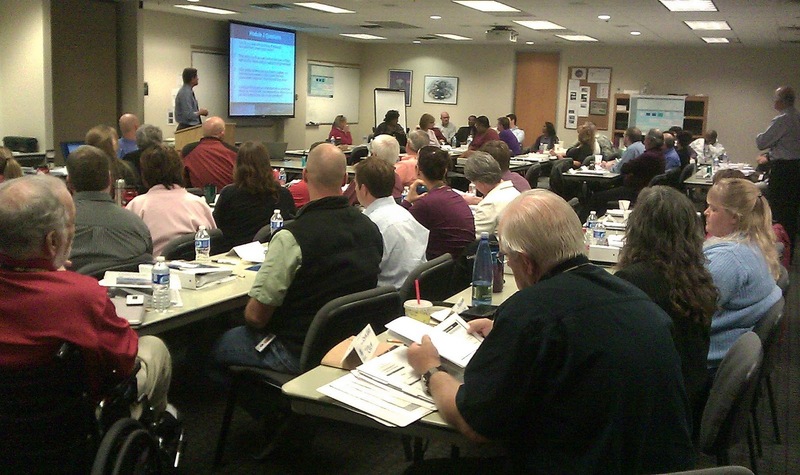 To see upcoming training opportunities, you can either visit the DEM Training Tab (top of this page) or also visit http://co.train.org for a list of upcoming emergency management, homeland security and public health training events across the State. For specific questions or to request training in your area/region, contact the State's Training Officer, Robyn Knappe at robyn.knappe@state.co.us. The City of Fort Collins and Colorado State University will be hosting a Disaster Management for Public Services Course (MGT317) in Fort Collins, December 20-21, 2010. 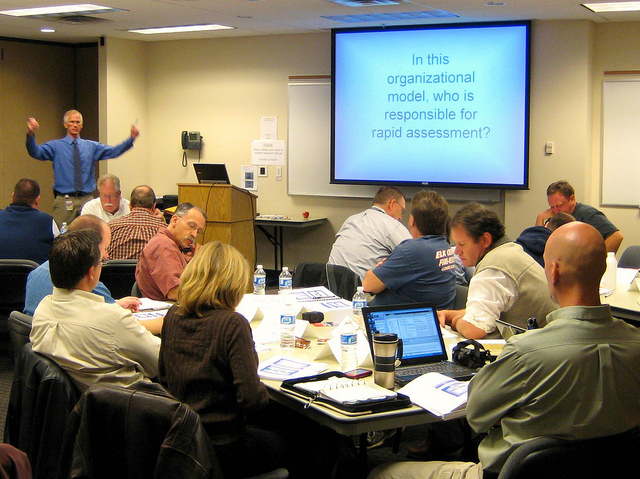 The course will be held at the Poudre Fire Authority Training Center at 3400 West Vine Drive in Fort Collins. The course brings together those public service personnel from within a jurisdiction who would be required to prevent, manage, or react to a natural, technological, or civil disaster within their community. Topics to be covered in the course include an introduction to disasters, pre-incident phase, incident phase, post-incident phase and future direction and action plans. The target audience for the course include law, fire, emergency medical services, public works, health, schools and government personnel and is provided at no cost to students. For questions and to register, send an email with your name, agency, contact information and position to Mike Gavin (migavin@poudre-fire.org), Emergency Manager for the City of Fort Collins. We got a very cool "heads up" we wanted to pass along regarding one of our local Emergency Managers in Fort Collins, Mike Gavin. 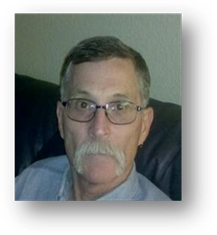 Our partners with the International Association of Emergency Managers have recently elected Mike to be the Vice-President of the International Association of Emergency Managers - Region VIII. To read more about Mike's responsibilities and to learn more about the IAEM, visit IAEM's Region VIII website. And, from all of us here at DEM, a hearty "Congratulations, Mike!". Moffat County and the Division of Emergency Management will host an ICS-300 Training Course in Craig, Colorado on December 16-17, 2010. 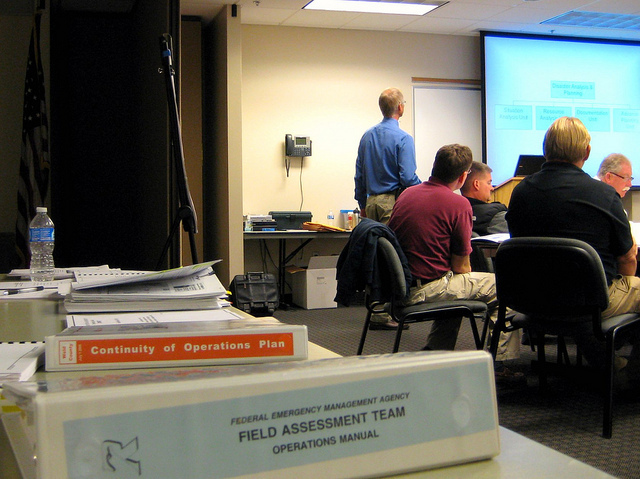 ICS-300 provides training on and resources for personnel who require advanced application of the Incident Command System (ICS). The course expands upon information covered in the ICS-100 and ICS-200 courses. For more information, download the course flyer or contact DEM's State Training Officer, Robyn Knappe at robyn.knappe@state.co.us. Pikes Peak Community College is soliciting applications from individuals who meet the minimum requirements for a Project Coordinator Emergency Management, Higher Ed. Interested candidates must apply online at http://employment.ppcc.edu. All application materials must be received by 4:00 p.m. on the position's closing date to be considered. Inquiries regarding the position announcement should be directed to Patricia Padeway at (719) 502-2296 or patricia.padeway@ppcc.edu. Our State Training Officer, Robyn Knappe, wanted to pass on a link from Lucien Canton's recent newsletter, titled "Effective Presentations: Insider Tips for Improving Your Skills." In emergency management, we spend a lot of our time between incidents speaking at training events and presenting before elected officials and partner agencies. Lucien's article offers some great prompts, advice and reminders on how to engage and connect an emergency management message to your audience. As the snow returns, so does the risk of avalanches in Colorado. However, through incredible work by dedicated snow experts using technology to promote education and awareness, the opportunity to be more informed about snow safety, stability and conditions has never been easier or more accessible. So, at the beginning of this season, take minute to brush up on some Avalanche Safety Tips and check out the new resources in Colorado available to you to stay informed! Take an Avalanche Level 1 Class. There is nothing you will do in terms of avalanche safety that beats getting together with snow nerds to learn tips, tricks and insights about snow and how it acts. These classes are open to anyone who is interested or spends time in the backcountry. An often overlooked recommended audience for these classes are first responders. 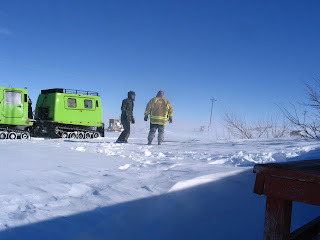 If you are in search and rescue, or are a firefighter and involved in over the rail or high/low angle rescue in winter conditions, familiarizing yourself with snow, sounds, and avalanche warnings signs will help enhance your situational awareness and company safety. 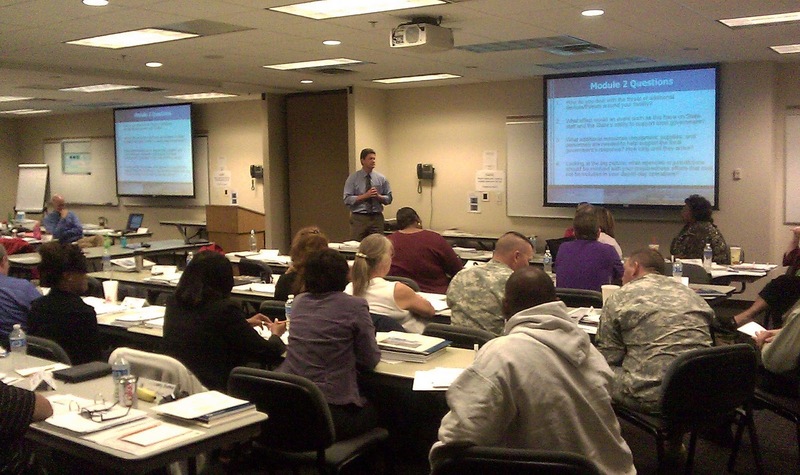 Check out the CAIC training calender for course information in your area. Before heading out, check the current avalanche forecast. Also check the latest weather forecasts from the National Weather Service. Never Travel Alone. 1) you will have more fun telling stories of adventure later as a group and 2) your friends and fellow adventurers may save your life by providing extra eyes, ears and - if necessary - means of communicating to authorities/help as to where you are if you get trapped. If crossing a slope prone to avalanche's, go one person at a time (see above bullet). If you are unsure if a slope is prone to avalanche, also see above bullet(s). In a class, rather than by experience, is where you need to learn to look for angles, snow conditions from your pit, awkward open spaces, trees missing limbs on their bottom half, and other tell-tale signs of the avalanche history of a slope. Colorado Avalanche Information Center - http://avalanche.state.co.us/index.php - This is your one-stop for information, training and conditions. Too, check out the CAIC's Twitter Feeds. They are immensely useful for those in the backcountry or in the area(s) wanting to keep up with the latest regarding avalanche and snow conditions, projections and news (linked below). AMEC is looking to hire a Hazard Mitigation Project Manager/Planner to manage, perform and market hazard mitigation and emergency management services for state and local governments. You can read the position announcement online and, for questions or to submit your resume/cover letter, contact Carol McAmis at carol.mcamis@amec.com. Andy's Fire Story from South Metro Fire Rescue on Vimeo. Thank you for sharing, Andy. "Why Some Folks Survive Disasters and Others are Victims"
This is just a preliminary "heads up" as many of the particulars, the registration site and further details are being hammered out. We are getting excited about it, though, and couldn't help sharing! Keep tuned here on www.coemergency.com and www.cemacolorado.com for more info as it becomes available. Pueblo Chemical Depot will be hosting an ICS-300 Intermediate ICS Principles training course from Dec 13-14, 2010. Registration for the course can be done through http://co.train.org using Course ID 1005860. For any questions, contact Robyn Knappe at robyn.knappe@state.co.us or at (720) 852-6617. You can also download a copy of the ICS-300 Pueblo Course flyer online. The Rocky Mountain Area (RMA) Coordinating Group is recruiting fill several incident management team (IMT) vacancies and unassigned trainees for all IMTs and Rocky Basin Buying Teams for 2011. Each of the four IMTs in the RMA have slightly different needs/positions, so all interested individuals are encouraged to apply. This is a great opportunity to serve, gain experience and make a difference. Learn more about the RMA Recruitment Announcement and get application information online. 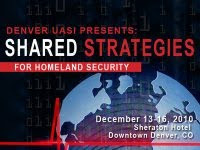 Just a reminder - In December 2010, Denver's Urban Area Security Initiative Program will be hosting a unique homeland security conference titled, "Denver UASI Presents: Shared Strategies for Homeland Security". Like many agencies and partners across the area, we are pitching in here at the Division to help support and participate in the conference. As a part of this support, I recently got a sneak peek at the developing speaker's list and jumped at the chance to help! Actually... in reading details on the speakers and participants, Denver UASI is going to be hosting what appears to be 4 conferences in 1 with the primary goal of bringing together emergency managers/first responders, healthcare professionals, business and critical infrastructure representatives and community preparedness and resiliency experts together to share ideas on how to improve collective security. Organized by tracks to help subject matter experts share ideas within their areas and then through combined, joint sessions with the other tracks, the conference will be a ground-breaking effort in information-sharing. While there are more details available about the conference schedule and speakers on the Conference's blog site at http://sharedstrategiesblog.com, I can pass on that the conference will host Israeli improvised explosive device (IED) experts, representatives from the Israeli emergency medical services, including from Magan David Adom, and a growing number of national experts in warning systems, initial/first response, emergency medical services, legal issues and social media. 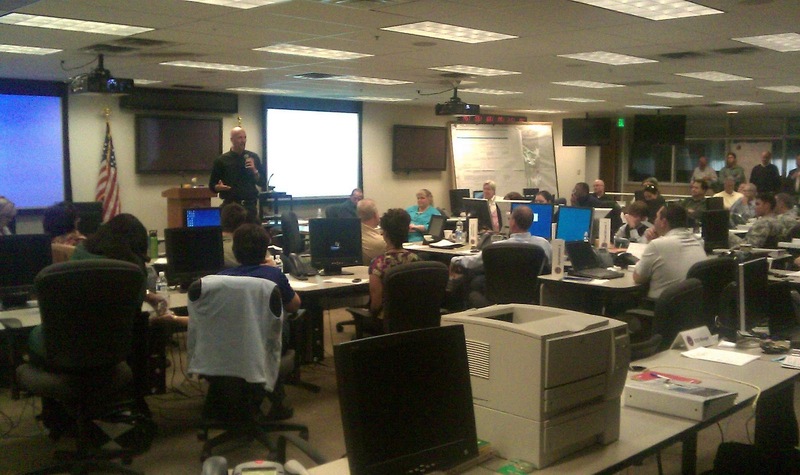 This week, the Division launched its' inaugural Colorado Emergency Management Academy. The goal of the Academy is to equip newer emergency managers with hands-on preparedness/mitigation, planning, response and recovery skills to allow them to be confident and competent in handling a disaster in their jurisdiction. Thirty applicants were accepted to be a part of this first class for 2010/2011 year. The program schedule spans nine months, anchored by a series of resident courses with one course per quarter until July 2011. Outside the classroom series, participants must also complete a number of independent study courses online. In order to be accepted to the program, applicants must complete seven FEMA courses, called the Professional Development Series, as prerequisites in addition to other training. In July 2011, the participants will attend the culminating training event for a week-long resident set of courses designed to meet the Advanced Professional Series and build strong emergency response skills. For more information regarding the training course, contact DEM's State Training Officer, Robyn Knappe, at robyn.knappe@state.co.us or at (720) 852-6617. The City of Colorado Springs Fire Department is hiring a Principal Analyst - Public Communications. The position will oversee, direct and coordinate the operations and activities of the Fire Department's public/local media relations and collaborate wit the City's Public Information Officer about matters related to emergency communications. The candidate will provide public information responses for emergency and non-emergent fire department requests; develop and implement the department's community education, community relations an communication goals/objectives; and ensure program compliance with state and other applicable governing rules, regulations and standards. The interviews for this position will take place on or about the week of November 25, 2010. 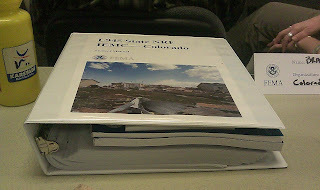 The City of Colorado Springs application is online at http://www.springsgov.com. The application must be received no later than 11:59 PM on November 12, 2010. The Denver Regional Council of Governments and Grant Writing USA will present a two-day grants workshop, December 2-3, 2010. In this class you'll learn how to find grants and write winning grant proposals. This training is applicable to grant seekers across all disciplines. Beginning and experienced grant writers from city, county and state agencies as well as nonprofits, K-12, colleges and universities are encouraged to attend. Multi-enrollment discounts and discounts for Grant Writing USA returning alumni are available. For more information on the course, go to the course announcement website or contact Cathy Rittenhouse, Grant Writing USA Registrar, at (800) 814-8191 or at (217) 935-5886. 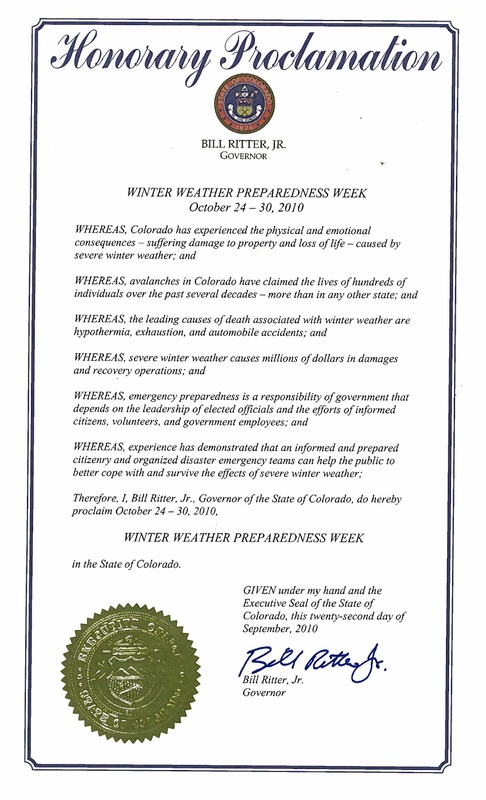 While yesterday we focused on travel tips/safety under Colorado's Winter Weather Awareness Week, today we shift focus to winter weather advisories, watches, warnings and all the other terminology that accompanies the notice that winter conditions are either on the way or ongoing. Today, we will cover both the terminology and also how to gain access to it using Colorado-specific points for information. Winter weather conditions arguably have the most fascinating and colorful language of all the weather periods. Starting with horrifically-sounding "thunder snow" (thunderstorm where precipitation is snow rather than rain) to the equally attention-grabbing "snow eater" (term used to describe warm, dry wind that melts snow) or even "freezing drizzle" (describes condition where small water droplets freeze upon contact with a surface), winter weather is abound with great terms. Incidentally, our other non-winter weather terminology favorites that could also double as rock band names? Hail Core. Fire Tornado. Wall Cloud. Winter Storm WATCH - A winter storm watch is issued when winter storm conditions are possible within the next 3 days but the timing, intensity or occurence may still be uncertain. Winter Storm WARNING - Heavy snow is occurring or will develop in the next 36 hours. This snow may be accompanied by winds greater than 15 mph and blowing snow. Blizzard WATCH - A blizzard watch is issued when blizzard conditions are possible in the next 12 to 36 hours. Blizzard WARNING - Blizzard warnings are issued in lower elevations when heavy snow is expected to last 3 or more hours with sustained winds of 35 mph or greater and when there is considerable falling and or drifting snow that reduces visibility to less than 1/4 mile. In the mountains, a blizzard warning is also accompanied by an expectation that winds will exceed 50 mph at higher elevations. Wind Chill WATCH - A wind chill watch is issued in advance of a wind chill warning, usually 12 to 36 hours in advance of the expectation that a warning will be issued. Wind Chill WARNING - The wind chill warning is issued for wind chills of least -25 degrees on the plains and -35 degrees in the mountains or foothills. Freeze WATCH - Similar to the wind chill watch, a freeze watch is issued in advance of an anticipated freeze warning, usually 12 to 36 hours in advance of when the freeze warning will be issued. Freeze WARNING - Freeze warnings are issued during growing seasons when temperatures are expected to drop below 32 degrees. High Wind WATCH - When high wind conditions are expected to develop in the next 12 to 36 hours, a high wind watch is issued. High Wind WARNING - Sustained winds of 50 mph for at least 1 hour or gusts up to 75 mph for any duration in the mountains or foothills will trigger a high wind warning. In lower elevations, the criteria is somewhat less, set at sustained winds of 40 mph for at least 1 hour or gusts up to 58 mph for any duration. Winter Weather Advisory - A winter weather advisory is the "heads up" that general snow accumulations between 4 and 8 inches over a 12 hour period in the mountains and 3 to 6 inches over a 12 hour period in lower elevations, are expected. In addition, if visibility is expected to diminish as falling and blowing snow make it difficult to see or if wind blown snow is anticipated to create a visibility hazard for travelers, a winter weather advisory may be issued. Even freezing drizzle and other conditions involving snow and sleet that primarily impact driving conditions may trigger a winter weather advisory. Dense Fog Advisory - Dense fog advisories are issues when fog will reduce visibility to less than a quarter mile. Wind Chill Advisory - In the mountains, a wind chill advisory will be issued when values are in the -25 degree range and on the plains, a wind chill advisory will be issued when values are between -18 and -25 degrees. Frost Advisory - Unique to the growing season, a frost advisory is issued when temps are expected to drop to between 32 and 35 degrees on clear, calm nights. There are a number of ways in Colorado to keep up with the advisories, watches and warnings. As with all emergency public information and warnings, the best practice is to monitor a number of different information points. 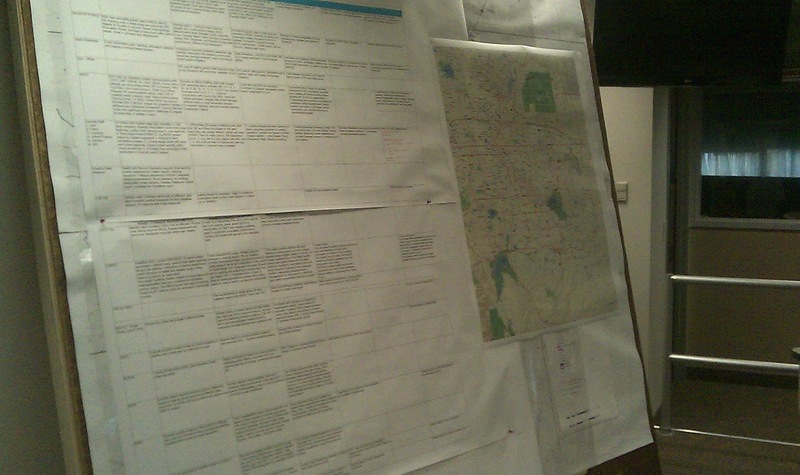 So, where can you go in Colorado for advisories, watches and warnings? 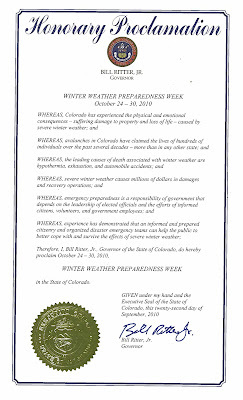 This October 24-30, Governor Ritter and Colorado's Division of Emergency Management joins the National Weather Service to remind Coloradans about Winter Weather Preparedness. With the first major storm of the season hitting the high country and other areas of the state, the timing couldn't be better. There are a number of resources available to keep you, your family and friends prepared and informed as the snow and ice return to Colorado. The National Weather Service maintains a comprehensive Winter Weather links page that provides a number of Colorado-specific reports, avalanche information and preparedness information. In addition to keeping up with the latest NWS Colorado Weather Advisories/Watches and Warnings, you should know what your local "sources" for emergency information, including available sms/text/email alerts, websites, local contact numbers and emails. These local sources will be the best contacts for specific hazard and response actions in your area or the area to which you are traveling. For specific tips on preparedness, there are some great winter preparedness checklists available online from READYColorado. Each day this week we, along with the National Weather Service, will be emphasizing a certain aspect of winter preparedness including winter travel safety, watches/warnings/advisories, high winds, wind chill temperatures and hypothermia, and avalanche safety. We are kicking off the week with a focus on winter travel safety. At the beginning of the winter season and periodically through the season, it is essential to ensure your vehicle(s) are equipped to head out into the snow. 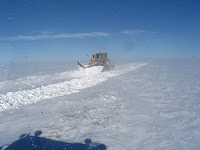 DO NOT PASS snow plows or sand trucks in operation!!! Be sure to check out our earlier article for more Winter Weather Preparedness Tips! It is about that time to get our winter weather legs under us and remember what it is like to properly prepare for and get through winter storms. What follows are number of general safety tips regarding what to do in advance of and during winter storms. Be prepared and be safe! Service snow removal equipment and have rock salt on hand to melt ice on walkways and kitty litter to generate temporary traction. Make sure you have sufficient heating fuel; regular fuel sources may be cut off. Have safe emergency heating equipment available. Fireplace with ample supply of wood. Small, well-vented, wood, coal, or camp stove with fuel. Wrap pipes in insulation or layers of old newspapers. Cover the newspapers with plastic to keep out moisture. One-week supply of essential prescription medications. In case family members are separated from one another during a winter storm (a real possibility during the day when adults are at work and children are at school), have a plan for getting back together. Ask an out-of-state relative or friend to serve as the "family contact." After a disaster, it's often easier to call long distance. Make sure everyone knows the name, address, and phone number of the contact person. Make sure that all family members know how to respond after a severe winter storm. Teach children how and when to call 9-1-1, police, or fire department, and which radio station to tune to for emergency information. Lower the thermostat to 65 degrees during the day and 55 degrees at night. Close off unused rooms. If the pipes freeze, remove any insulation or layers of newspapers and wrap pipes in rags. Completely open all faucets and pour hot water over the pipes, starting where they were most exposed to the cold (or where the cold was most likely to penetrate). Listen to the radio or television to get the latest information. Wear loose-fitting, layered, light-weight clothing. Layers can be removed to prevent perspiration and chill. Outer garments should be tightly woven and water repellant. Mittens are warmer than gloves because fingers generate warmth when they touch each other. Stretch before you go out. If you go out to shovel snow, do a few stretching exercises to warm up your body. Also take frequent breaks. Protect your lungs from extremely cold air by covering your mouth when outdoors. Try not to speak unless absolutely necessary. Change wet clothing frequently to prevent a loss of body heat. Wet clothing loses all of its insulating value and transmits heat rapidly. The Denver Urban Area Security Initiative (Denver-UASI) and North Central Region Training Committee is hosting a Wide Area Search Training (PER-213) from November 30 - December 2, 2010 at the West Metro Fire Rescue Training Center at 3535 South Kipling, Lakewood, CO. The Wide Area Search course is grant-funded by the Department of Homeland Security. The course is provided on-site for eligible jurisdictions throughout the United States. The course is applicable to jurisdictions that would need to conduct wide area searches due to a natural disaster or terrorist incident. Participants will learn practical search methods and skills in order to perform systematic searches over a large affected area. The course concludes with a table top exercise that requires participants to utilize the previous two days of instruction. The curriculum of this course is based on lessons learned from search operations in support of the Space Shuttle Columbia recovery, Hurricanes Katrina, Rita, Dolly, Ike and other wide area search incidents. Enrollment must occur through you agency training administrator or contact Tom Witowski at (720) 865-7651 or at tom.witowski@denvergov.org. 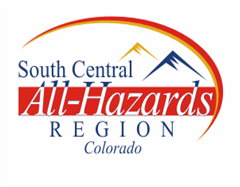 The South Central All-Hazards Region, which is comprised of Chaffee, El Paso, Lake, Park, Teller Counties and the City of Colorado Springs, is hosting an ICS-300 Course from November 29-30, 2010, in Salida, CO. The course provides training on and resources for personnel who require advanced application of the Incident Command System (ICS). The target audience for this course is for individuals who may assume a supervisory role in expanding incidents or Type 3 incidents. To register, please go to http://co.train.org (Course ID: 1005860). You can also view/download the course flyer. The next Front Range Emergency Management Forum meeting will be held on November 10th, from 9:30 am - 11:30 am. The meeting will be held at the new Disaster Management Institute of Colorado at 9235 East 10th Drive, Building 859, Denver CO 80230. This meeting will have an academic/education theme with speakers from various programs around the state talking about their programs. There will also be information provided about the Certified Emergency Manager (CEM) process for those who are interested in these certifications. For any questions, lori.hodges@state.co.us. I think our Finance and Admin Lead here at DEM summarized today's exercise activity well when, on the way out afterwards, he said "well.. we got requests, we filled requests... and we spent a lot of [fictional] money". Out of context, that might not sound like a great achievement, but for a state-level Emergency Management office responding to a large, mega-scale disaster exercise scenario that is a proud achievement. Our task at the Division, when you boil everything down, is pretty clear. Emergency managers at the State-level are in place to anticipate needs of local authorities/first responders, field requests for equipment, staff or other assistance locals cannot meet with their own resources in responding to an emergency, and to facilitate access to funding streams so that money doesn't become a roadblock to providing help to people that need it. So, in this case, getting requests, filling requests and responsibly spending fictional money means that the system - while under a HUGE amount of stress - worked. That said. We broke a lot of things (not physically...). That sounds bad but, again, it isn't. An exercise where everything works achieves little. Exercises are intended to identify weaknesses, gaps, and those things you didn't think about yet. The point is to see how capable and flexible you - as a group and individuals - are to responding to challenges. In this exercise, We tested new procedures and groups, such as a dedicated situational awareness unit. We implemented new systems, such as a wide establishment and operation of a shared collaboration site to facilitate communications between public affairs reps involved in response. We utilized an entire new resource ordering and tracking system, designed to help better understand requests received, status of approval and implementation. Our goal, which was painfully achieved (poking fun...) due to the rigorous injects and pace of our Emergency Management Institute exercise hosts, was to stress the system, see where the breaks occurred so that we could repair them in the after action phase. The scenario, if you are interested, was for a swarm of major tornadoes to hit across the Front Range causing catastrophic damage and countless secondary issues designed to overwhelm every aspect of initial and emergency response/support. Achieved. It was a difficult, long day. Despite the horrific scenario and doubtless adverse impact such an event would have, we were able to test the systems, establish a rhythm and validate many procedures that would be necessary to help us organize to begin the process of communicating with and coordinating provision of resources to local responders and communities. The skeleton got bent, battered and twisted, but it didn't break. Of course, we aren't done, yet. Today was only the first part of a two-part exercise. While today's activities emphasized response, situational awareness, public information and warning, tomorrow's exercise activities will focus on recovery. If we only had four words to summarize today's course subject areas, they would be (in order): planning, planning, resources, planning. 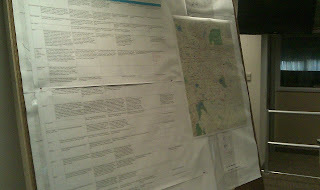 We did have a healthy situational awareness module, but most of the effort of the presentations and the two tabletop exercise modules rotated around planning and resource identification/allocation. Drawing from both the Homeland Security Presidential Directive 8 and the Comprehensive Preparedness Guidelines - 101, the facilitators led discussions on planning considerations and process. Rotating around the model of successful planning, which includes acceptability, adequacy, completeness, consistency, feasibility, flexibility and inter-operable collaboration, participants discussed the top-level of planning methodologies. 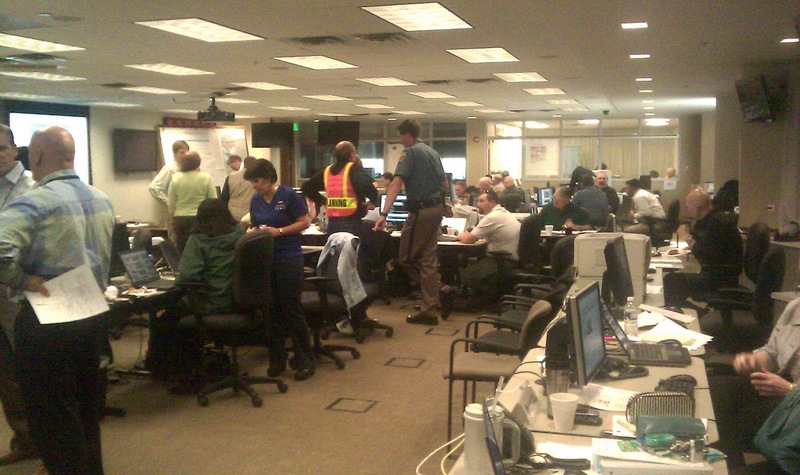 While we did not get into the specifics of the Colorado Emergency Operations Plan, the basic scenarios were used as catalysts for participant discussions on particular roles, responsibilities and capabilities of involved agencies. One of the more interesting discussion threads was the need to move the trigger point of private sector involvement further up in the planning process than where it sometimes normally resides in emergency management, at the point of "I need". While there is some work in this area going on in Colorado, such as the collaboration accomplished through the Colorado Emergency Preparedness Partnership and the resource initiatives being led by the Division of Fire Safety, this was generally agreed as an area in which to expand efforts. In wonderful simplicity, situational awareness was described as "my perception," while common operating picture was identified as "our collective perception." Regardless of an incident's cause or scale, situational awareness is always a complex issue. Establishing sources and flow of information and understanding which actions are taking place where is a responsibility of all involved in the response effort. The critical key, of course, is to ensure the information flow process on how information is taken in and to whom it is provided in a standardized fashion is understood and implemented in a standardized, regularized manner (It is something we have been working within our EOC and we are looking forward to testing our new procedures during the exercise tomorrow!) Gaining information is only half of the challenge, however. The second challenge is in rendering that information into an easily understandable and accessible format that provides all agencies - which can include hundreds in a major response - can access and put to use. If you are involved in emergency management and interested in some useful tools available to help spur consideration and improve these two aspects of response, check out the Lessons Learned Information Sharing tool, run by the Federal Emergency Management Agency. Several hours of the day were dedicated to a group tabletop exercise where small groups tackled a series of questions (largely planning-based) rotating around an improvised explosive device scenario. The most Colorado-specific portion of today's activities was the presentation and discussion over the Division of Fire Safety's efforts to improve our resource mobilization tools in the State (pic right). This system, still in development, will help dramatically increase our state capabilities to identify, request, mobilize, track, monitor an demobilize people and material being applied to an incident. From the presentation, it is clear it will include nonprofit and private sector resources, mapping capabilities and more. Tomorrow is the main exercise day (tornado response scenario), followed by another exercise on Friday that will focus on recovery efforts. Should be fun!!! Kerry Kimble's (State Planning Officer) Colorado Hazards Briefing - including the notes pages - provided during the State Integrated Emergency Management Course has been posted for online viewing or downloading.